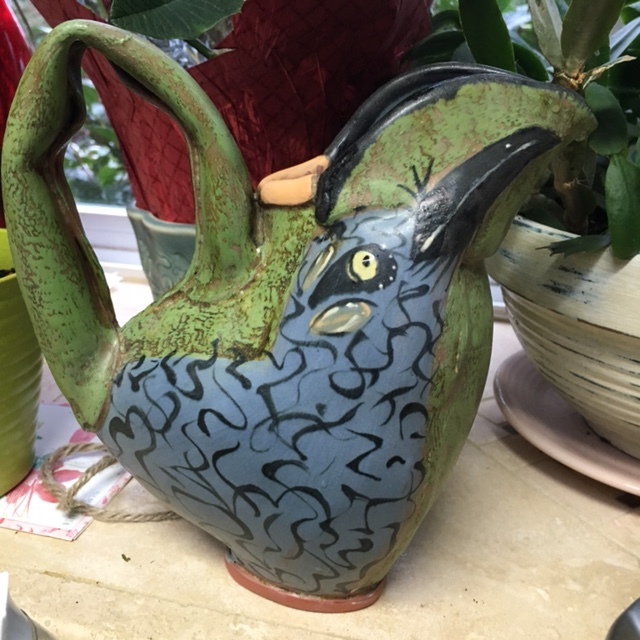 I have a few favorite potters that I follow and today I would like to share Lisa Naples of Doylestown, Pennsylvania. She is a Earthenware potter & sculptor. She does whimsical illustrated pieces that tell a story. A technique I am always drawn to. I admire her work and hope to take her workshop one day. I took up Earthenware this year, quite different than the Porcelain I use in the majority of my work. I sent Lisa a email with a few questions. I was bowled over when she returned with an actual phone call! Saying it was faster to call than type. Such a sweet person and eager to help other potters. Since that time I have purchased a few items from her, not being able to restrain myself any further. I often buy cups from other potters that inspire me. Lisa inspires me to the extent a cup was not enough. 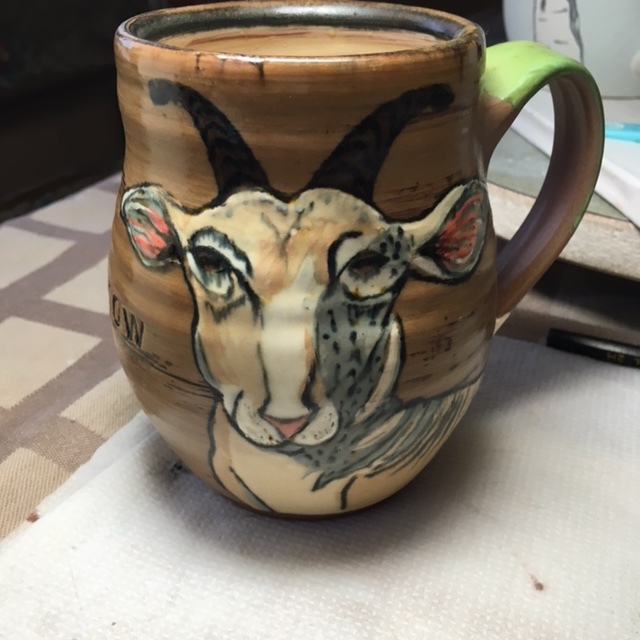 I went for the goat mug, a goat in the kitchen, how unusual! I also added her cute bird creamer to my collection. I find myself using Mr Goat most often for my morning coffee and the creamer is the best size for filling the coffee machine with water and has a permanent place in my kitchen window with a view of the bird feeders! See them below. You can check out her other work at www. lisanaples.com.